A cushioning, inflatable floor for an extra margin of comfort and stability. 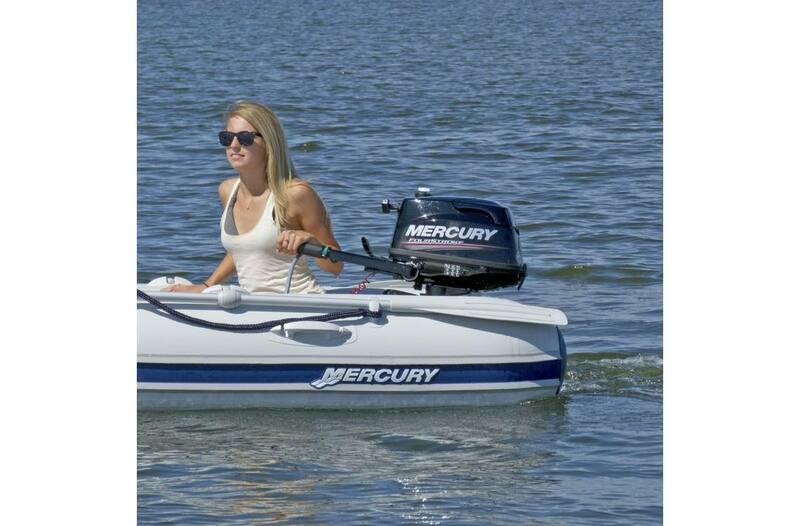 Not Too Hard, Not Too Soft: General-purpose, lightweight boats with an air-filled floor for easy transport. Doesn't get much easier than this. Soft enough to be easy on the knees. Rigid enough to hold five people stable on deck surface. Stitched for Support: The Mercury® high-pressure “X-Stitched" air floor makes for easy, fast setup. Thousands of X-stitched fibers for excellent support. Fifty percent more rigid than traditional air floor systems. 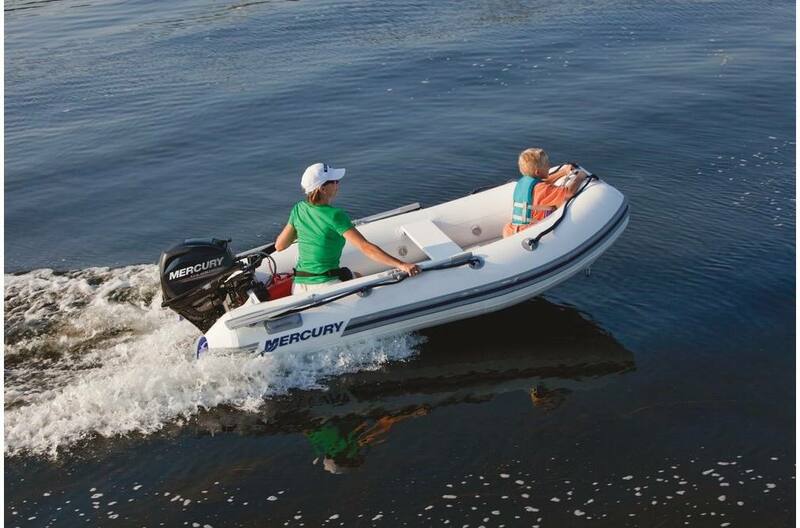 Ready For Anywhere: Ship-to-shore transport or for your next family outing. The Air Deck® is built to be maneuverable and boasts a roomy interior. No floorboards, for maximum portability. Stow it anywhere. 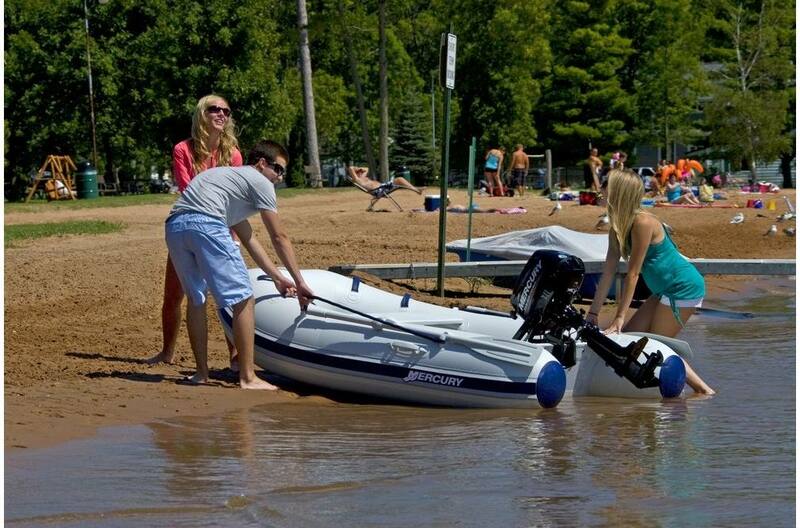 Take it out when you're ready to hit the water. 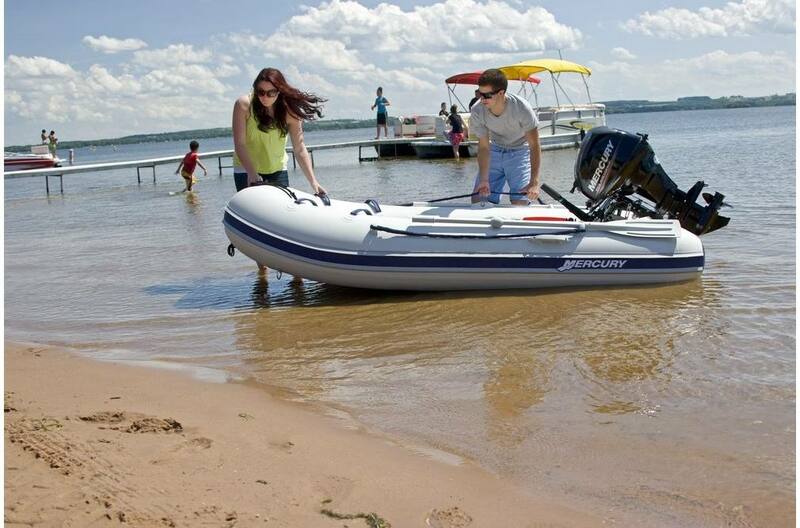 10-Year HP Warranty: Mercury Inflatable HP boats offer the best guarantee in the market including a 10-year limited warranty on the Achilles fabric and air-holding seams giving you assurance of our commitment to quality. 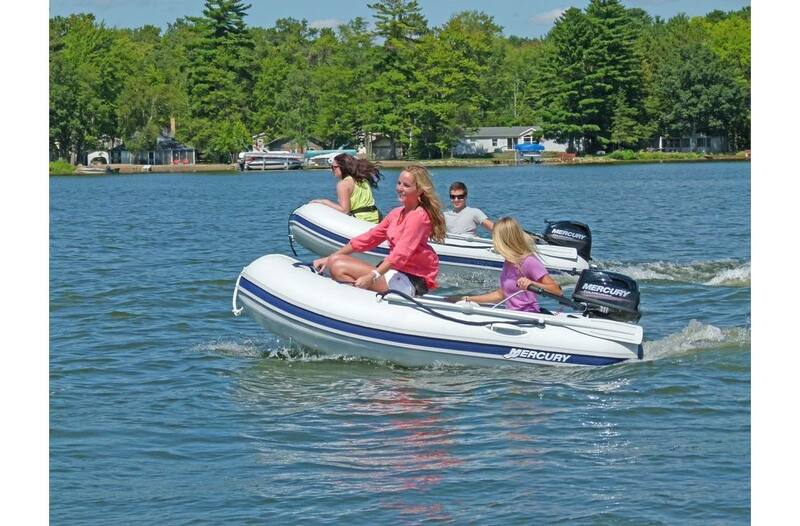 5-Year PVC Warranty: Mercury Inflatable PVC boats offer one of the best guarantees in the market including a 5-year limited warranty on the Haku fabric and air-holding thermowelded seams giving you assurance of our commitment to quality. Bow Handles: Extra handles inside the tube provide a more secure grip as well as additional holding points. 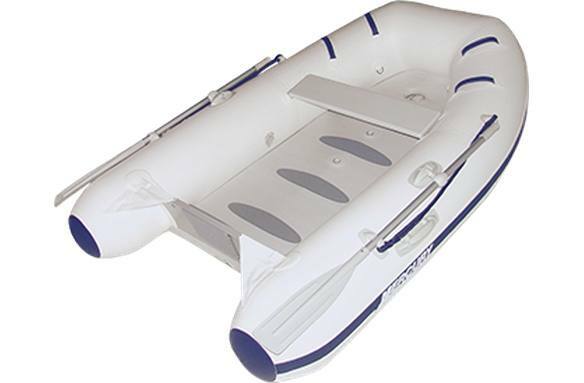 Inflatable Keel: All models are equipped with an inflatable keel under the floor for better performance (excluding rigid hull boats). 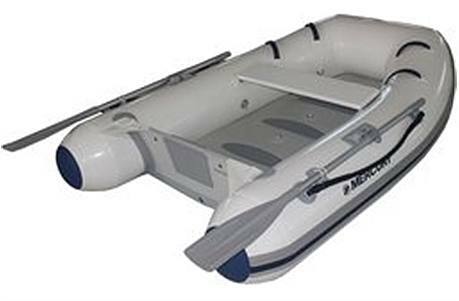 Fiber-Reinforced Polymer (FRP) Seat: All Mercury Inflatable Boats feature a durable FRP seat to eliminate cracking, decay and slivers. Fabric-Wrapped Transom: The fabric-wrapped transom protects against cracking and decay. All transoms are made waterproof by wrapping the transom with fabric, which ensure greater durability compared to traditional plywood transoms. Drain Plug: The inside drain valve provides you the luxury of draining from the inside, quickly and easily. Double Tear-Drop Rub Strake: The double tear-drop rub strake helps to reduce splashing and provide your boat with better shock resistance.